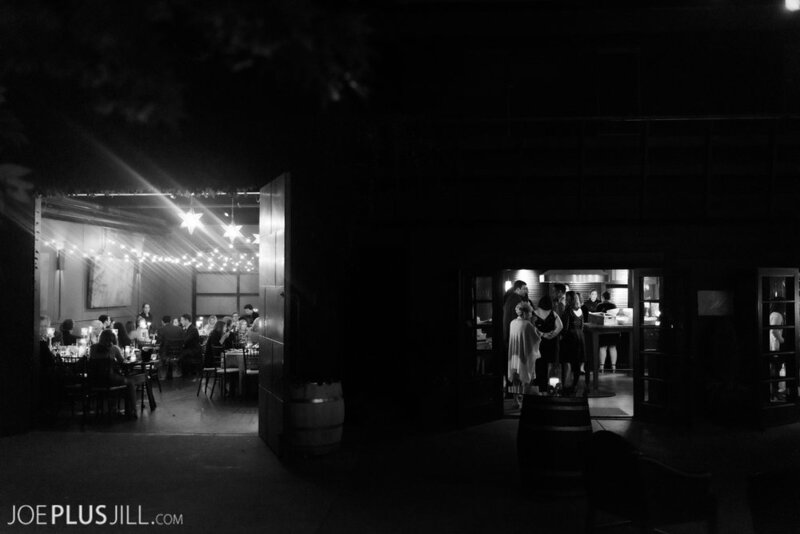 An intimate reception that feels more like a Tuscany dinner party, that is what happened at Shari & BJ's gathering with friends and family for their wedding. 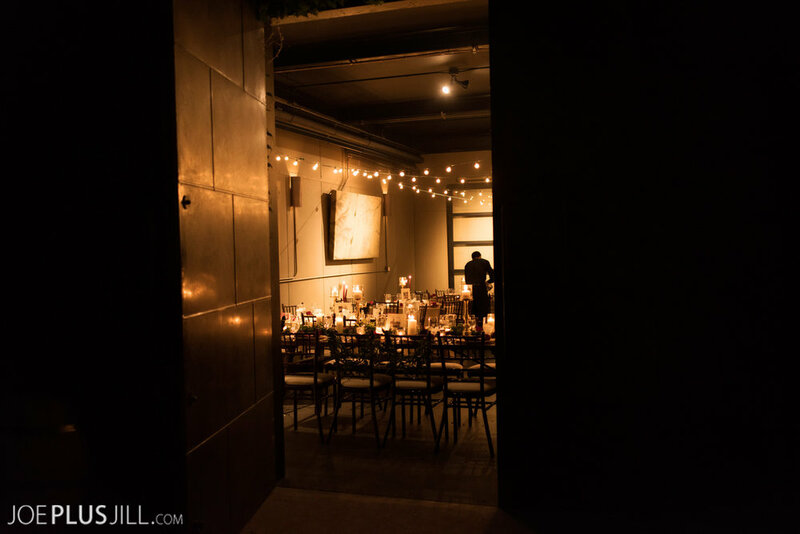 JM Cellars is dark and moody, then add candlelight in the room and you have a romantic, elegant feel. 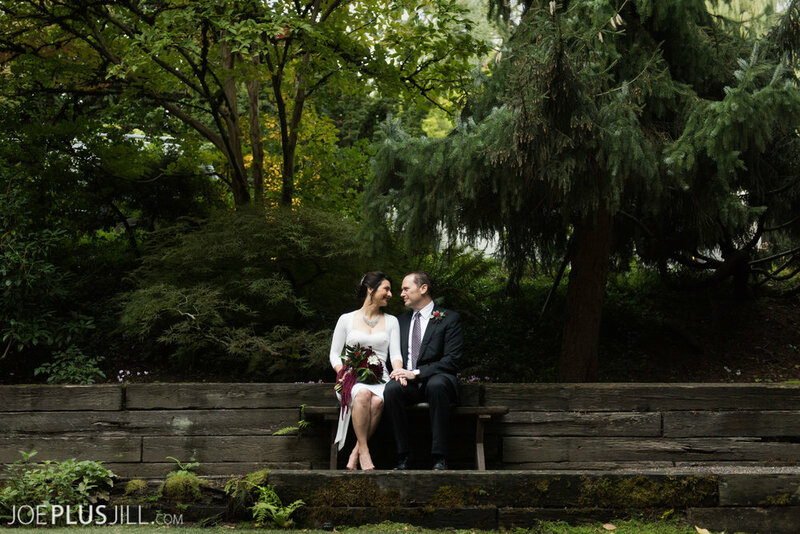 The couple had a small ceremony with close friends and family then enjoyed the outdoor patio for a lovely cocktail hour with the sounds of Windsong Trio. 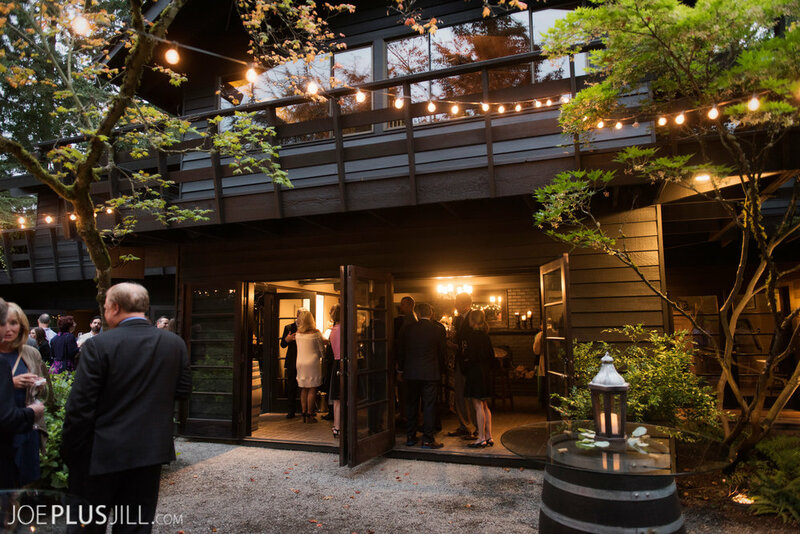 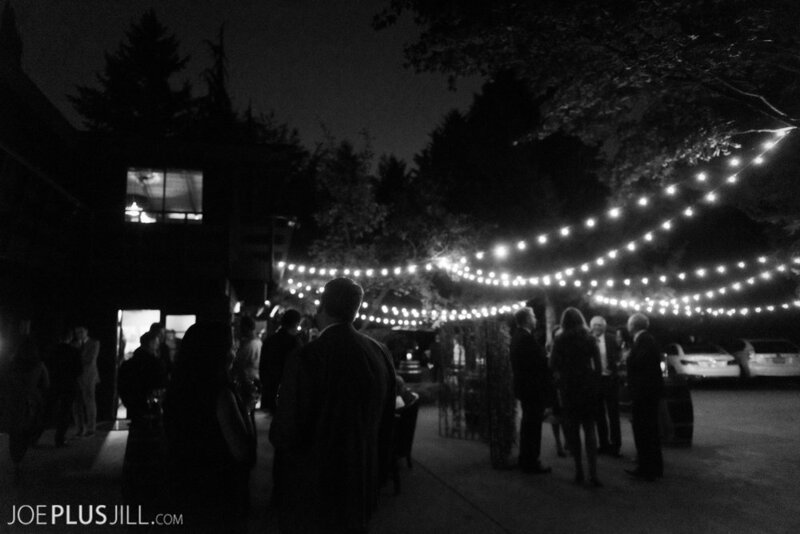 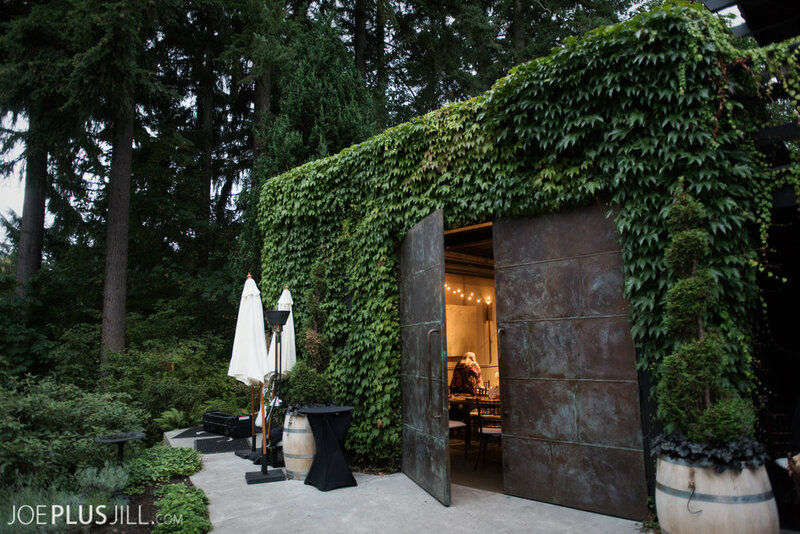 JM Cellars is tucked in by trees and greenery up on the hill, so it's easy to feel like you are at a Tuscany vineyard . 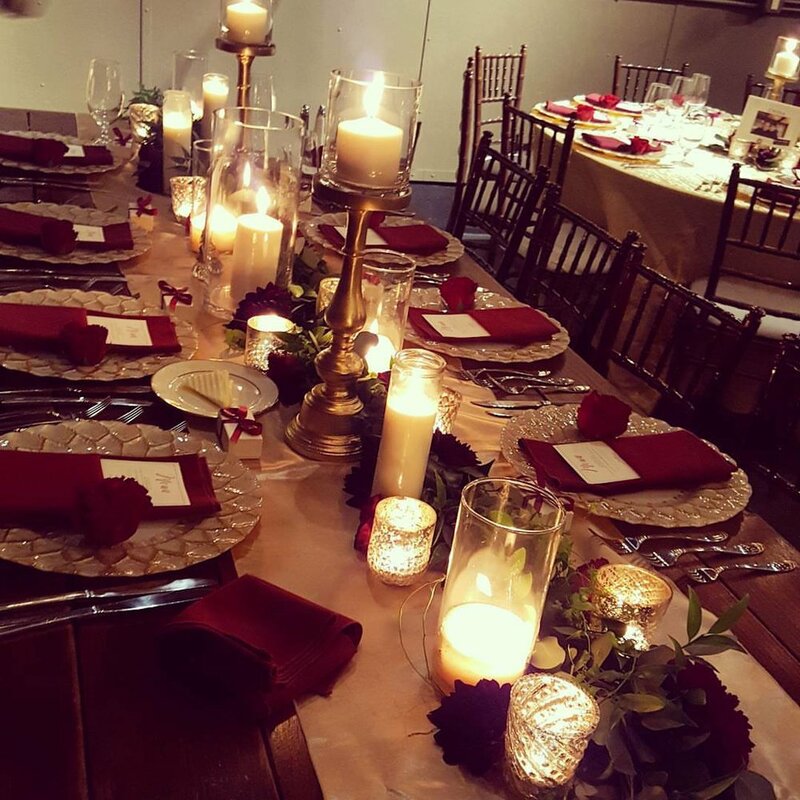 Inside the tables were set with candles, loose eucalyptus, lush, local dahlias and deep burgundy fluffy roses. 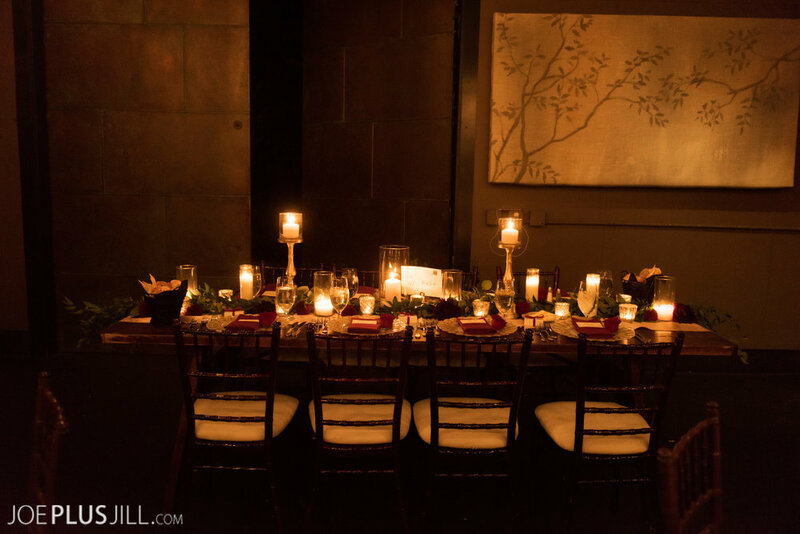 I love how the head table had so many candles running down the center lining the greenery garland. 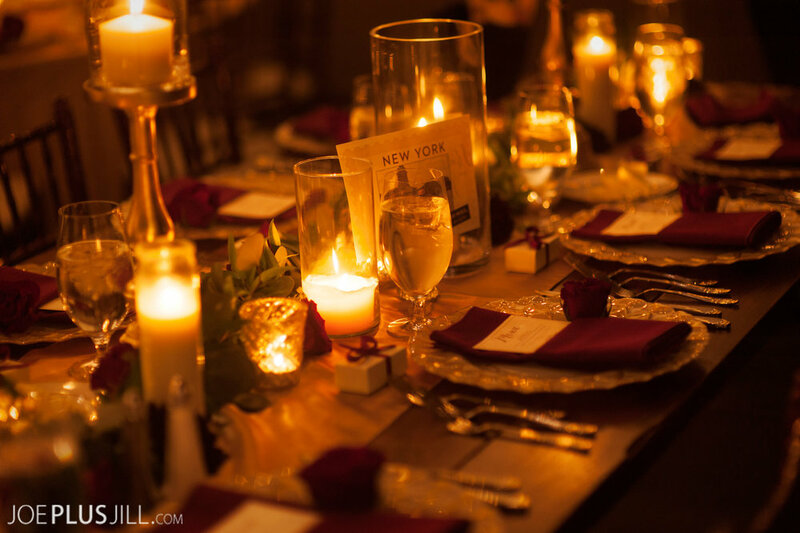 All the details worked so well with each other from the petal plates that look like dahlias to the deep burgundy folded napkins and the full rose blooms at each place setting. 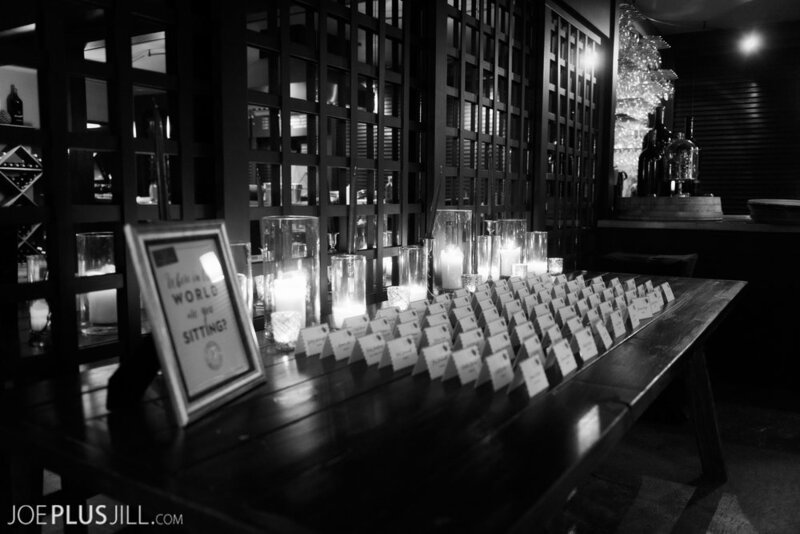 I love how dramatic candlelight can make a room look, we definately acheived that look and feel for this reception. 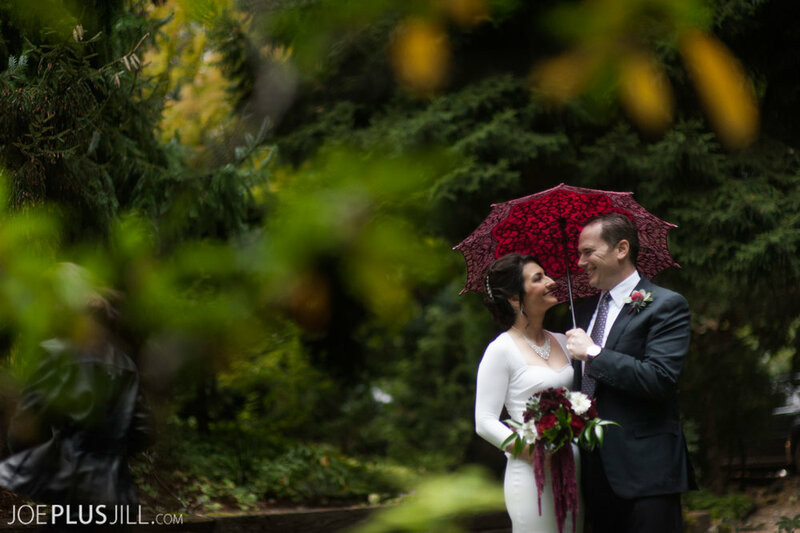 Great day with a great team of vendors for a lovely couple, and the rain even held off!